I knew something wasn’t quite right when before going out to meditation, I would look wistfully towards the tree – eyeing up another branch to cull. Of all things, I was reading a book (“Running in Rhythm with the Heart” by Jayasalini) which is about the Sri Chinmoy Self-Transcendence 3100 Mile race. This is a race of 52 consecutive days, where runners pound the concrete slabs of a block in Jamaica, Queens, New York. Amongst epic tales of self-transcendence and running through pain, there is a brief remark about the relationship runners could develop with the surrounding trees they get to know so well. To runners at the edge of endurance, they became more aware how trees are a living organism with the same ultimate source as ourselves. Cut to the quick; I felt a little guilty for looking at the poor hazel as just an adversary to be chopped. I tried another way of looking at the situation. I shall surrender the end of the garden to shade; the roses and lavender will have to go, but there’s plenty of shade lovers to take their spot. At the same time, I was reading another book on gardening, where the author waxed lyrical about how his hazel trees created the perfect sticks for growing sweat peas. 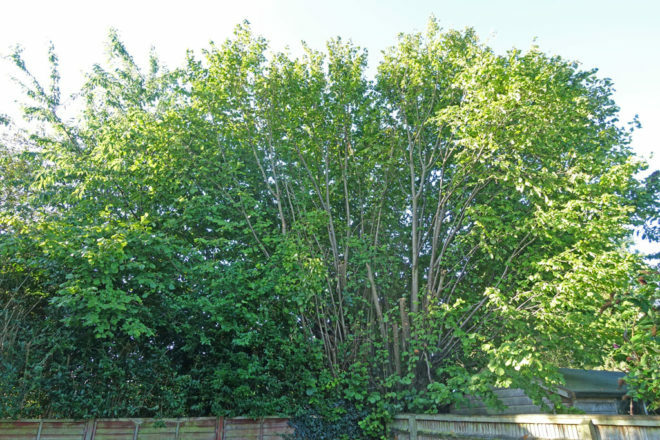 He noted, no matter how much the hazel was coppiced – it keeps coming back to provide the gardener with more branches every year. How self-giving is that – your arm is cut off, so you grow another one for the person who hewed through your limbs! A path made from fallen hazel branches. 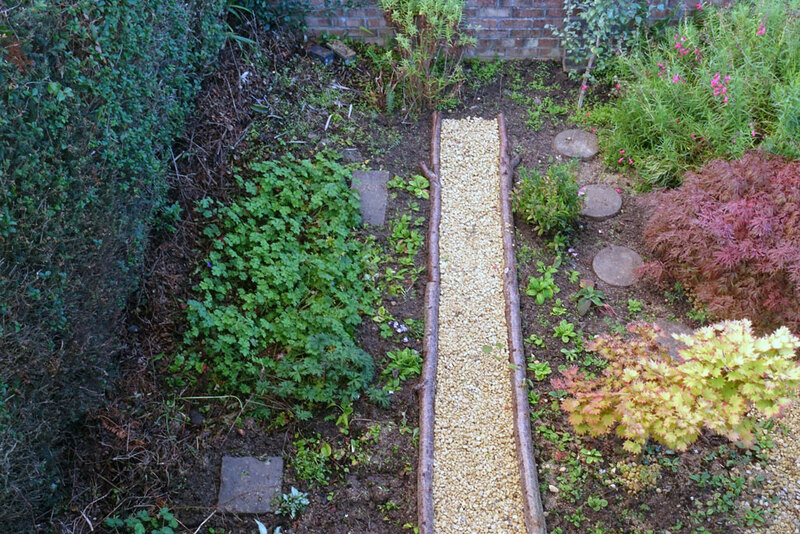 I took a few fallen branches from my mighty collection of hazel and made a path in my front garden. I offered some tentative gratitude to the Hazel who both blocks the sun but provides shelter for the birds and wood for me. 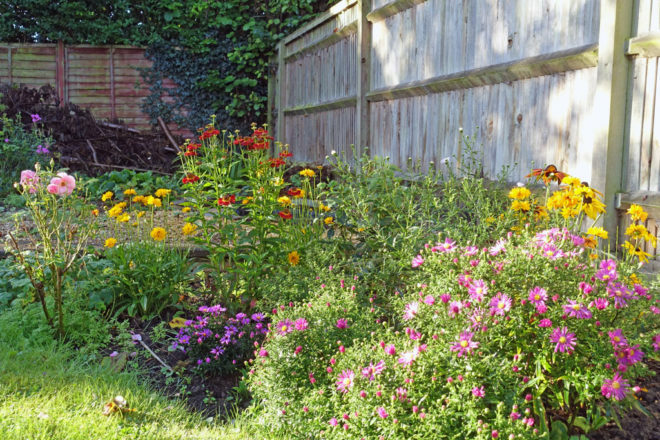 Next year I will grow some sweat peas up his fallen branches, and perhaps we can have a new relationship – the old adversary and me.